2019 Nominations for Excellence in Service Award Now Open! The mission of the Developmental Disabilities Council of Contra Costa County is to promote the coordination, improvement, and growth of services and supports to individuals with developmental disabilities and their families, and to advocate for their needs. The Council is the official advisory body to the Board of Supervisors for individuals with developmental disabilities and their families. The Council takes a leadership role in advocacy and planning while providing information about resources to the community. The Council is very active in responding to the increased importance of early detection/intervention and developing strategies to increase access to Health Care for individuals with developmental disabilities. Membership is comprised of over 500 individuals, agencies and organizations that represent the population of over 7,000 individuals with disabilities and their families of all economic, ethnic, cultural and linguistic backgrounds. 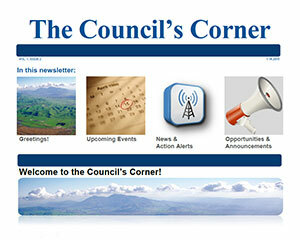 The Council has served the citizens of the County for 40+ years and is staffed part-time. The Council has a 21 member elected board of directors and meets on the fourth Wednesday of most months from 9:45 a.m. to noon. All meetings are open to the public. A developmental disability is defined as a disability that occurs before the age of 18, is substantially disabling for an individual and is expected to continue indefinitely. Developmental disabilities include inlellectual disability, cerebral palsy, epilepsy and autism. Also included are disabling conditions closely related to an intellectual disability or requiring similar treatment.